Acting and Posture: How Do Actors Stack Up? Human beings are creatures that copy each other. We especially copy our movie stars - and movie stars are paid to copy us. Movie stars and stage performers have always both reflected and influenced cultural norms. With the advent of TV in the 1950s, this cycle of influence became especially strong. Many people watch TV on a daily basis, and actors have a major influence on our clothing fashions, speech habits, and importantly, our posture. 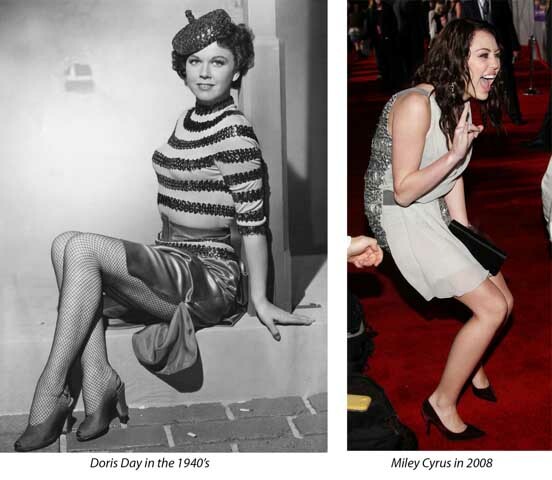 Because the posture of actors is well-preserved in millions of reels of celluloid, this medium provides an interesting study of changing postural trends over the past century. Read more about Acting and Posture: How Do Actors Stack Up?